Ash Buchanan is a director at Cohere, and a design and developmental consultant with over ten years’ experience spanning the areas of wellness, leadership and sustainability. He has partnered with FONA for the design of the Education Centre of Excellence, and as a part of this has shared his work on the Benefit Mindset. The Benefit Mindset model, which builds on the pioneering research of Carol Dweck (as discussed by Ash in a blogpost), promotes the need for design that has positive impacts on the whole community. 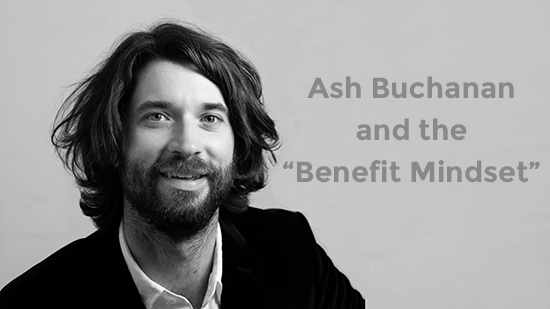 FONA sat down with Ash to learn about the Benefit Mindset, and how adopting it can help communities. Tell us a bit about yourself Ash. “I’ve got a background as an engineer focusing on sustainability, working with architects and engineers. My focus was on developing sustainability plans. I originally thought the solution to our sustainability issues was a technical one, for example putting solar panels on buildings, but as time went by I started to realise that I could provide businesses with the best solutions and plans, but unless the companies and people had the right culture the projects wouldn’t be that successful. How did the Benefit Mindset model come about? How do you describe the Benefit Mindset? “In the framework I’ve put together there are three mindsets which people adopt and the assumptions that they hold. Fixed mindset: they are the everyday expert. They know how everything works, they don’t want to try new things and learn. Growth mindset: this is currently a popular idea in education and business. They are willing to fail and try new things in order to develop themselves. What is an everyday leader? How can the Non For Profit Sector adopt the Benefit Mindset? “The issue I’m seeing in the world is lots of people starting to make a difference on their own at the moment, but what we really need is for people to come together in concert with one another. Coming together and promoting wellbeing together rather than individualised ideas of what success is. How does the Benefit Mindset connect to the Education Centre of Excellence? “FONA have shown the community they understand what they care about, and it’s not about being an outsider projecting their vision of the Education Centre onto the local community. 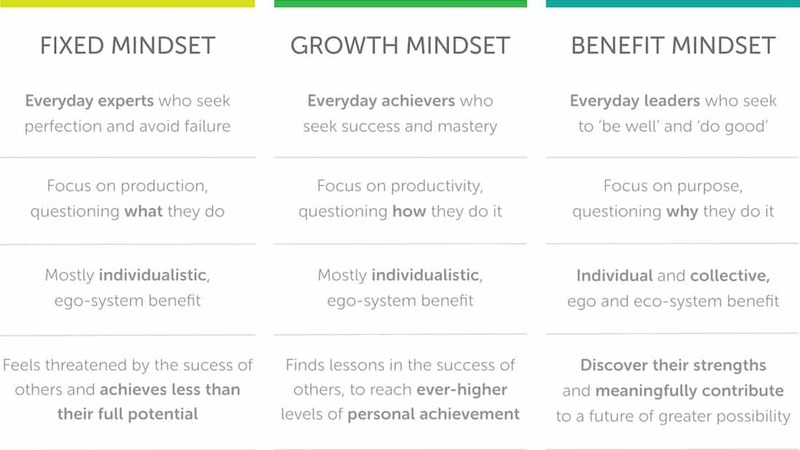 How can we continue the use of the Benefit Mindset in education? “We’ve actually just done a workshop with 500 students and we’ll be working with ten more schools in the next months. Read the full transcript of the interview with Ash at this link. Share this article and tell us why you think the Benefit Mindset is important.